This agreement applies as between you, the User of this Website and MCI Ltd, the owner of this Website. Your agreement to comply with and be bound by Clauses 1, 2, 4 – 11 and 15 – 25 of these Terms and Conditions is deemed to occur upon your first use of the Website. Clauses 3 and 12 – 14 apply only to the sale of Services. If you do not agree to be bound by these Terms and Conditions, you should stop using the Website immediately. "We/Us/Our": means MCI Ltd, a company incorporated with the Registrar of Companies for Northern Ireland with Company registration Number NI648551 on October 9th, 2018. 4.1 Subject to the exceptions in Clause 5 of these Terms and Conditions, all Content included on the Website, unless uploaded by Users, including, but not limited to, text, graphics, logos, icons, images, sound clips, video clips, data compilations, page layout, underlying code and software is the property of MCI Ltd, Our affiliates or other relevant third parties. By continuing to use the Website you acknowledge that such material is protected by applicable United Kingdom and International intellectual property and other laws. This Website may contain links to other sites. Unless expressly stated, these sites are not under the control of MCI Ltd or that of Our affiliates. We assume no responsibility for the content of such websites and disclaim liability for any and all forms of loss or damage arising out of the use of them. The inclusion of a link to another site on this Website does not imply any endorsement of the sites themselves or of those in control of them. Those wishing to place a link to this Website on other sites may do so only to the home page of the site ibpi.learnworlds.com without Our prior permission. Deep linking (i.e. links to specific pages within the site) requires Our express written permission. To find out more please contact Us by email at info@mcinternationaleventsplanning.co.uk. 9.2 You acknowledge that MCI Ltd reserves the right to monitor any and all communications made to Us or using Our System. 9.3 You acknowledge that MCI Ltd may retain copies of any and all communications made to Us or using Our System. 11.1 Either MCI Ltd or you may terminate your Account. If We terminate your Account, you will be notified by email and an explanation for the termination will be provided. Notwithstanding the foregoing, We reserve the right to terminate without giving reasons. 12.1 Whilst every effort has been made to ensure that all general descriptions of Services available from MCI Ltd correspond to the actual Services that will be provided to you, We are not responsible for any variations from these descriptions as the exact nature of the Services may vary depending on your individual requirements and circumstances. This does not exclude Our liability for mistakes due to negligence on Our part and refers only to variations of the correct Services, not different Services altogether. Please refer to sub-Clause 13.8 for incorrect Services. 13.1 No part of this Website constitutes a contractual offer capable of acceptance. Your order constitutes a contractual offer that We may, at Our sole discretion, accept. Our acceptance is indicated by Us sending to you an order confirmation email. Only once We have sent you an order confirmation email will there be a binding contract between MCI Ltd and you. 13.6 MCI Ltd shall use all Our reasonable endeavours to provide the Services with reasonable skill and care, commensurate with best trade practice. 13.8 MCI provides technical support via our online support forum and/or phone. MCI makes any effort possible to respond to support requests within 30 minutes during European business hours (9am to 8pm ECT), but we do not guarantee a particular response time. We want you to be completely satisfied with the Products or Services you order from MCI Ltd. 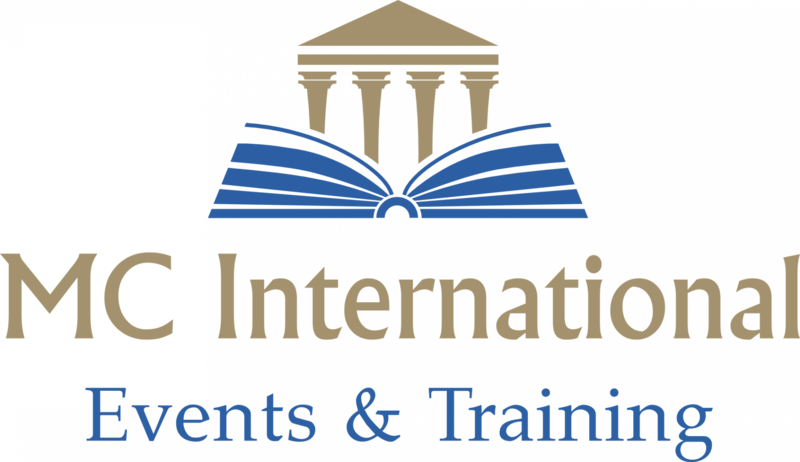 If you need to speak to us about your Order, then please contact us by email at info@mcinternationaleventsplanning.co.uk or write to us at our address (see section 1 above). You may cancel an Order that we have accepted or cancel the Contract. If any Specific Terms accompanying the Service contain terms about cancelling the Service, the cancellation policy in the Specific Terms will apply. 14.1 If you are a consumer based within the European Union, you have a statutory right to a “cooling off” period. This period begins once your order is confirmed and the contract between MCI Ltd and you is formed and ends at the end of 14 calendar days after that date. If you change your mind about the Services within this period and wish to cancel your order, please inform Us immediately using the following email: info@mcinternationaleventsplanning.co.uk. Your right to cancel during the cooling off period is subject to the provisions of sub-Clause 14.2. 16.1 All personal information that We may collect (including, but not limited to, your name and address) will be collected, used and held in accordance with the European GDPR Regulation. 16.3 In certain circumstances (if, for example, you wish to purchase Services on credit), and with your consent, We may pass your personal information on to credit reference agencies. These agencies are also bound by the European GDPR Regulation and should use and hold your personal information accordingly. 19.1 The Website is provided “as is” and on an “as available” basis. MCI uses industry best practices to provide a high uptime, including a fault-tolerant architecture hosted in cloud servers. We give no warranty that the Website or Facilities will be free of defects and / or faults and we do not provide any kind of refund for outages. We provide no warranties (express or implied) of fitness for a particular purpose, accuracy of information, compatibility and satisfactory quality. 20.2 Nothing in these Terms and Conditions excludes or restricts MCI Ltd’s liability for death or personal injury resulting from any negligence or fraud on the part of MCI Ltd.
20.3 Nothing in these Terms and Conditions excludes or restricts MCI Ltd’s liability for any direct or indirect loss or damage arising out of the incorrect provision of Services or out of reliance on incorrect information included on the Website. Nothing in these Terms and Conditions shall confer any rights upon any third party. The agreement created by these Terms and Conditions is between you and MCI Ltd.
24.1 All notices / communications shall be given to Us either by post to Our Premises (see address above) or by email to info@mcinternationaleventsplanning.co.uk. Such notice will be deemed received 3 days after posting if sent by first class post, the day of sending if the email is received in full on a business day and on the next business day if the email is sent on a weekend or public holiday. These Terms and Conditions and the relationship between you and MCI Ltd shall be governed by and construed in accordance with the Law of Northern Ireland and you agree to submit to the exclusive jurisdiction of the Court of Northern Ireland.